Election Day: November 6th 2018. Meet the Republican small businessman with a blueprint for West Knoxville. Take a Stand- Endorse Martin! Add your name to the growing list of community leaders endorsing Martin. Volunteer and stay up-to-date on all the latest campaign and political news. “Policing for Profit” takes many forms. Law enforcement, whether criminal or civil in nature, should promote justice, not the bottom line. 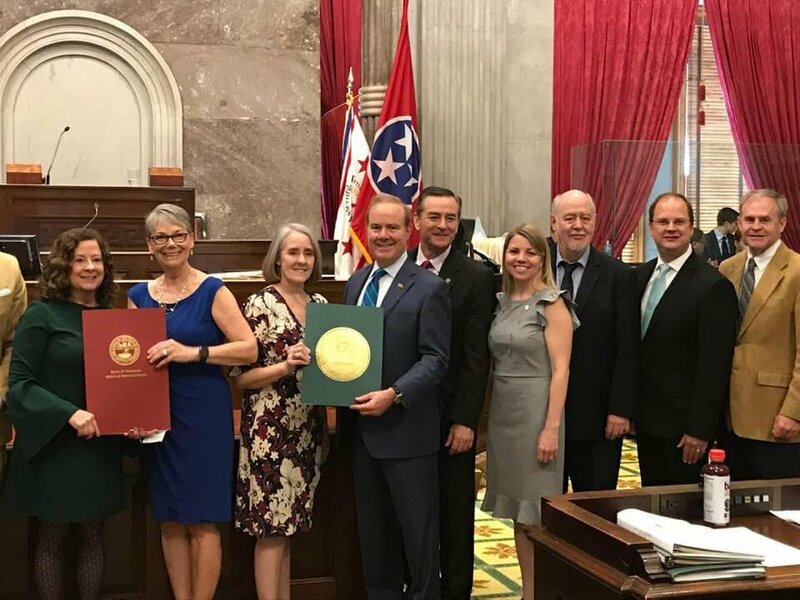 Yesterday, we recognized and honored two very extraordinary Tennesseans on the floor of the House of Representatives. Suzanne French and Mary Bell donated one of their kidneys to complete strangers in desperate need. You won’t read about them on the front page of the newspaper or on the internet, but they are heroes-quiet heroes - who have saved the lives of fellow Tennesseans. It was a very special day. Thank you Suzanne and Mary! “I’d much rather act now and risk a potential mistake than not act at all and miss an opportunity”. Michigan gets it, along with 24 other states that have comprehensively reformed Civil forfeiture. Tennessee doesn’t. Is there a race problem at the University of Tennessee? Glad to see Alice Cooper book Thompson Boling arena for a concert. Allowing beer and alcohol at third party events at Tennessee University premises is already paying off! Lord, we need an awakening in this nation, a revival of repentance and rededication, a spiritual surge of hope and accountability and a strong wind of truth to blow away the scourge of deceit, hate and disunity. Send it Father, please send it.